Providers defend their practices, noting that there is a deliberate system in place to regulate rehab levels. A new study contends that nursing homes may be pushing dying patients into unnecessary and potentially harmful high-intensity rehab services. Providers defended the system Wednesday. 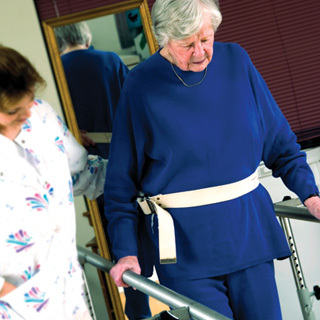 University of Rochester Medical Center researchers noted that the number of residents receiving “ultra-high” rehab services in New York state increased by 65% during the three-year period ending in 2015. Most of those services were delivered to individuals in the last seven days of their lives, according to the analysis of data from 647 nursing homes in the Empire State that was published this week in the Journal of the American Medical Directors Association. Researchers honed in on residents in the Very High (520 minutes per week) to Ultra-High (720 minutes) groupings of rehab services in the last 30 days of life. Authors speculated that rehab levels for the dying may actually be higher in other states with less regulatory oversight. They also acknowledge that some rehab is needed at the end of life, though more commonly of the low or intermediate variety. Providers defend their practices, noting that there is a deliberate system in place to regulate rehab levels. When individuals request admission to a nursing home, they typically come with documentation on the type of care required. And once they’re at the facility, they must be able to maintain those levels of therapy, notes Nancy Leveille, executive director of the Foundation for Quality Care, which is part of the New York State Health Facilities Association. If their condition is such that they cannot maintain, then nursing homes are unable to make a claim for those rehab minutes, Leveille pointed out. Plus, a significant sample of high-level rehab patients are then audited on a regular basis by Medicare or Medicaid, to validate that the services were appropriate, she added.